People from the other islands may argue differently, but for many, Honolulu is the heart of the Hawaiian Islands. Honolulu is home to the vast majority of Oahu’s people. It even has been nicknamed "The Gathering Place". Honolulu has many historically significant places, such as the Bishop Museum, named after the last descendant of King Kamehmeha, which houses cultural and natural history collections. Iolani Palace was the home of the Hawaiian royals. One of the four King Kamehameha I statues is in Honolulu (the others are in Statuary Hall in Washington, D.C., Kapaau on the Big Island, and Hilo). On Honolulu Harbor, the Aloha Tower (built in 1926) was the tallest building in the islands for over 40 years. It still greets cruise ships as they arrive in Honolulu. At nearby Pier 7, Duke Kahanamoku, an Olympic medal-winning swimmer and the “father of modern surfing”, set his first swimming world record. Honolulu is an arts and cultural center. Art galleries feature works of Wyland, Christian Riese Lassen, Zhou Ling and photographer Peter Lik, among many others. The Hawaii Opera Theater has been producing operas such as Madame Butterfly and Aida since 1960. Ballet Hawaii produces the Nutcracker Suite Ballet with accompaniment by the Honolulu Symphony Orchestra each holiday season. Diamond Head Theatre “is the Broadway of the Pacific, producing the best live community theatre entertainment in Hawaii”. Beyond the foods, arts and history lies the fact that Honolulu is the capital of the State of Hawaii. The state of Hawaii is made up of many islands but the eight "main islands", Ni?ihau, Kaua?i, O?ahu, Moloka?i, L?na?i, Kaho?olawe, Maui, and Hawai?i are where most of the population (about 1.3 million people) live. Oahu alone has a population of almost one million people, most of who live in Honolulu. The island of Hawaii (the big island) has the next highest population, about 185,000 people. Of the eight main islands, Ni?ihau has the smallest population, with only 170 people (nobody lives on Kaho?olawe). “Living in Honolulu” is a rather broad term, because so much of the island is referred to as Honolulu. 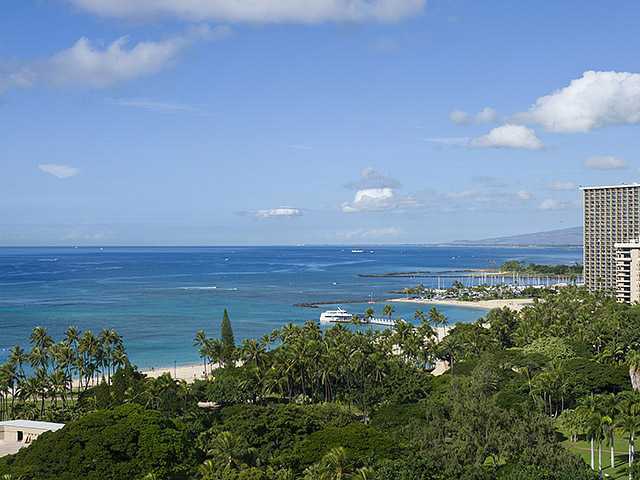 However, if a buyer wants to find a high-end condominium, Honolulu is the place to find one. If an inexpensive fixer upper is what is needed, downtown Honolulu is the place to find it. In other words, real estate in downtown Honolulu varies greatly in size, type and price. There are small (400 square feet) one-room apartments that sell for $20,000 to $30,000. For those with millions of dollars to spend, there are palatial homes and condominiums with all of the best appointments and designs, located in the most desirable parts of the downtown Honolulu area. Properties in the $300,000 to $400,000 range include many nice two or three bedroom condominiums in high-rise buildings. Whether the sought out property is a home that is a small and cozy gathering place for friends and family, or an upscale residence that is large enough to accommodate many people, Honolulu real estate could be the right place for you.